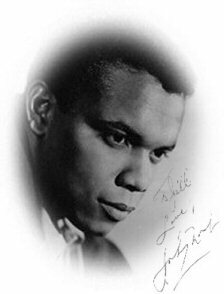 When Johnny Nash arrived at the California in 1972 he brought with him a young unknown Jamaican who had been writing some songs for a movie that he had been filming in Sweden. He was signed to CBS records and had produced a record for the newbie which had just been released. Arriving on stage for his set, Johnny asked Graham Bonney who was the jock for the night if it was ok for his protégé to come up and do a couple of songs. Graham told him that it was and the unknown took the mike and played a couple of reggae numbers that went down well with the crowd. When he came off I did my usual trick of asking for an autograph and was handed a copy of his new single which he signed. The name meant nothing. I played the tracks a few times and then put the disc away and forgot about it. Many years later as I was sorting through the vinyl I came across it again. The name of course now meant something and after the initial amazement of wondering how on earth I had got hold of a signed Bob Marley single, I began to recall bits and pieces. It wasn't until I'd got back in touch with Graham Bonney that the full story came to light.